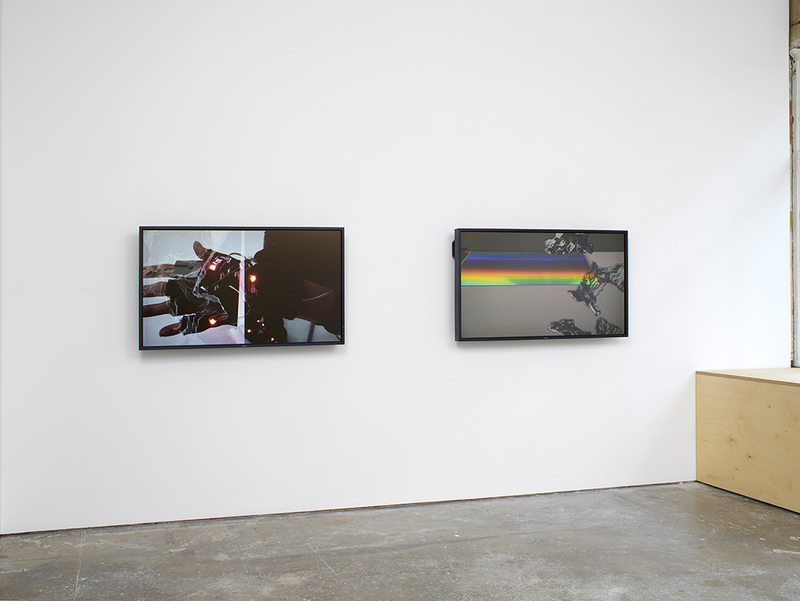 Arcade is pleased to present Barham’s second solo exhibition at the gallery. 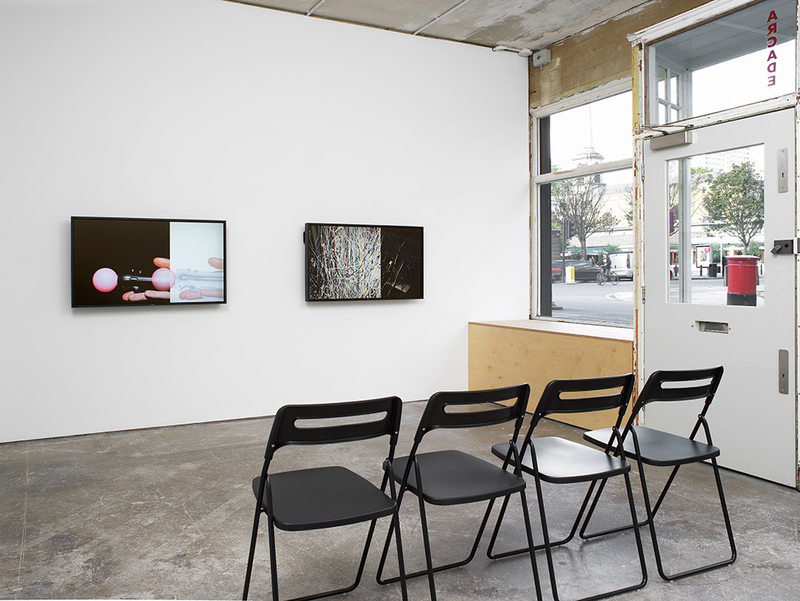 The exhibition consists of a new HD video Double Screen (not quite tonight jellylike) – the result of the residencies she undertook at Site Gallery and Wysing Arts Centre earlier this year. Barham has used rudimentary speech recognition and speech synthesis software to generate many different versions of a text which are recombined to form the score and voiceover. 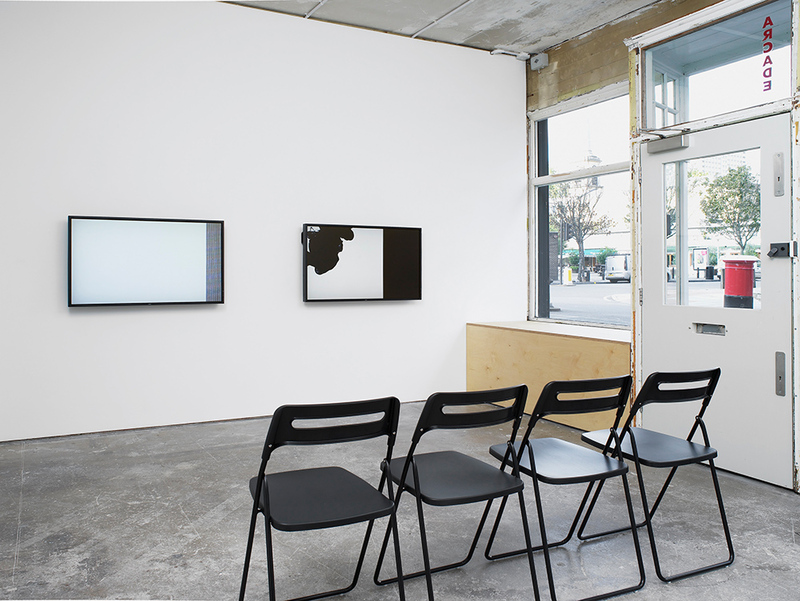 The structure of the narrative, its repetitions and auditory associations, are explored and opened further through a sequence of images which are pushed back and forth between two screens. The main protagonist of the video is a large format UV printer, tended by the hands of an unseen (human) printer. He carefully tapes the paper to the print bed and cleans its surface with a brush before the arm of the mechanical printer rolls into action, blurring the lines between body and machine in a way that points to Barham’s writing method which pitches technological and computational processes against the human voice to create a productive slippage. The printer’s constant and repeating presence in the work produces a sense of continuous production: the production of ‘meaning’ in which the viewer is immersed and complicit; and the continuous and unrelenting production of self. The original text from which the variations are generated – a rumination on alphabetic text and cleaning squid – was written by Bridget Crone for another purpose but entered the discussions with Barham during her residency at Site. The show at Arcade will be accompanied by a newly commissioned essay by Crone which is both a response to the work and the result of the pair’s continued dialogue over the last six months. Double Screen (not quite tonight jellylike), 2013, was co-commissioned by Site Gallery and Wysing Arts Centre with funding from Arts Council England and the Paul Hamlyn Foundation.